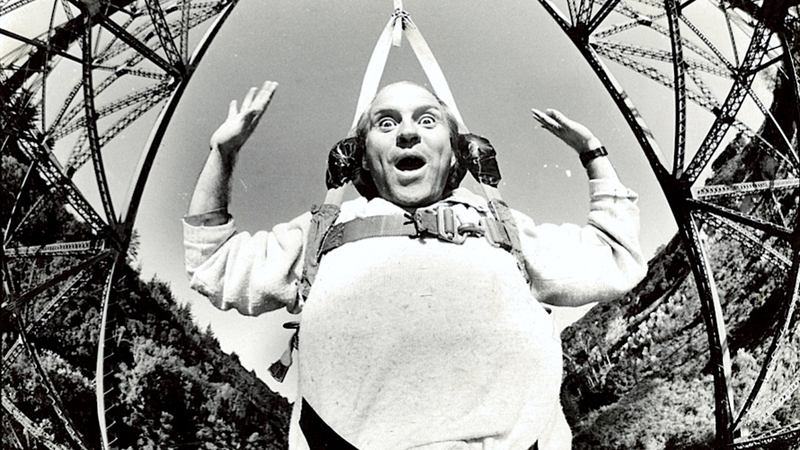 In 1980, with a healthy mix of imagination, balls and roughly-remembered Newtonian physics, a Kiwi bloke jumped off a bridge and started a worldwide phenomenon. Confession: I’ve never been bungee-jumping — not from atop a bridge or even one of the more amateur heights you’d find at an amusement park — but I have often wondered who first conjured the idea, who the crazy loon was who first dared to tie a rope around their legs and leap from a deathly height, willing the cord to break his or her fall before smashing into the ground below. If, like me, you’ve ever pondered who was crazy enough to invent such a thing, then allow me to introduce you to Chris Sigglekow. This “Kiwi bloke” who started the worldwide phenomenon of bungee-jumping is the subject of Alex Sutherland’s documentary, The Jump, created for New Zealand’s Loading Docs, an initiative posed to filmmakers to present a documentary subject in under three minutes. That’s no small task, but Sutherland was up for the challenge. Given the time limit, it’s no surprise that editing became the most difficult part of the process. “Although it was hard to leave so much out,” Sutherland said, “distilling it all down was an important process; it forces you to think about what is really driving the story and what is absolutely necessary in order to tell it.” He hopes to explore a longer version in the near future, but in the meantime, you can keep up with Alex on his website. Make sure to check out the rest of the Loading Docs series, as well, to see how other filmmakers make the most of such a limited amount of screen time.